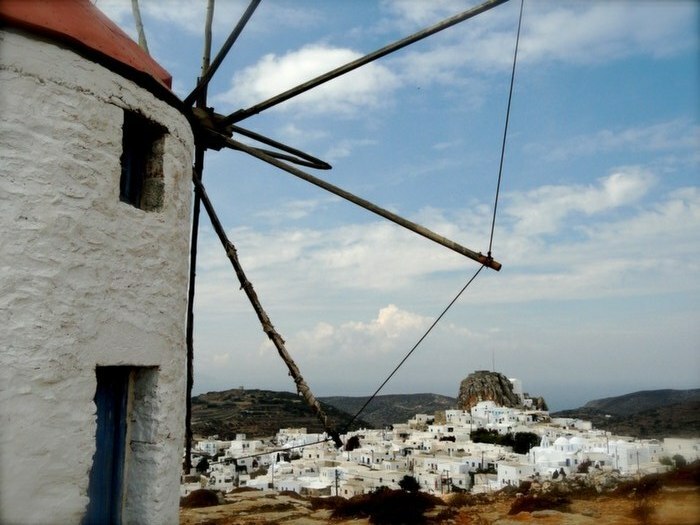 Here you will meet the real Cyclades and some islands off the beaten path! If you look at how travel can change lives and You are the lucky one to have 2 weeks time to spend in the Greek Isles, then this tour may be for you. Without the need to pack and repack you can discover most of the Cyclades Islands on a private charter sailing boat or catamaran charter. Peek into all the ancient ruins you can, swim from the boat in secluded coves, discover the stars, discover touristic or more isolated isles, and visit a different restaurant each night(if there is one!). You’ll get a good sense of why Greece is beloved by so many travelers and much more. 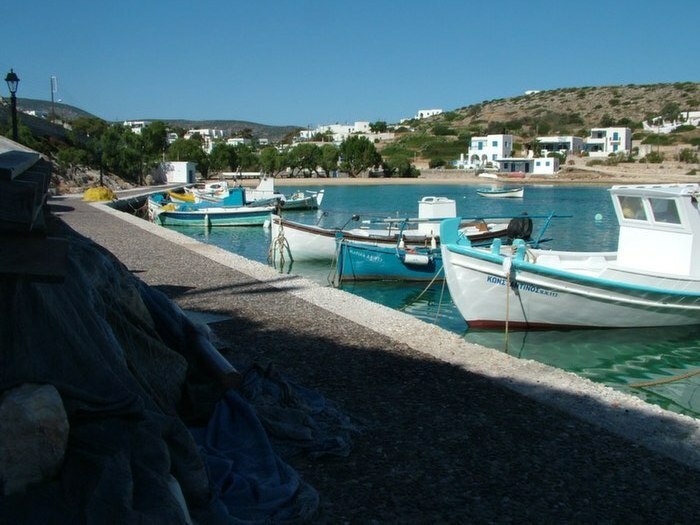 It is a combination of some busy islands, like Naxos, with some tiny, quiet places like Polyaigos and Thirasia. the early arrivals at the islands give you the opportunity to walk or drive around in order to explore the unique scenery. What is not included food & drinks, the diesel, the marina’s fees at the islands that you are going to visit and the end cleaning.This amount is 260€ in total. What is included yacht, skipper, 24% VAT, insurance, taxes, bedding, linen & towels, cooking fuel, motorised tender, watermaker, AC current for charging your small devices, CD & MP3 sound system, end cleaning. 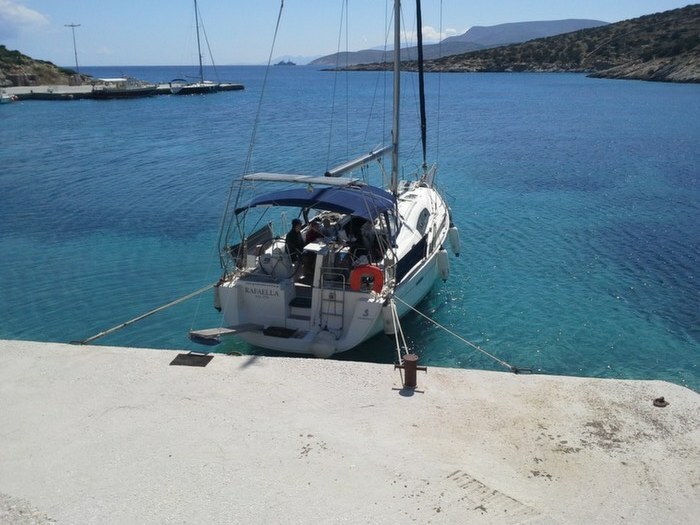 2.the diesel(depends on the consumption), the marina’s fees at the islands that you are going to visit and the end cleaning.From our experience for one week charter this amount is about 240EUR in total. Discount up to 500€ for week charters on certain dates. Contact us! What is included catamaran Lagoon 39, skipper, insurance, VAT, taxes, bedding, linen & towels, motorised tender, AC current for charging your small devices, end cleaning. What is not included 1. your food as well as your skipper's is at your charge. Day 1: Meet your skipper at the Marina cafe at 11:00 and board the sailboat. 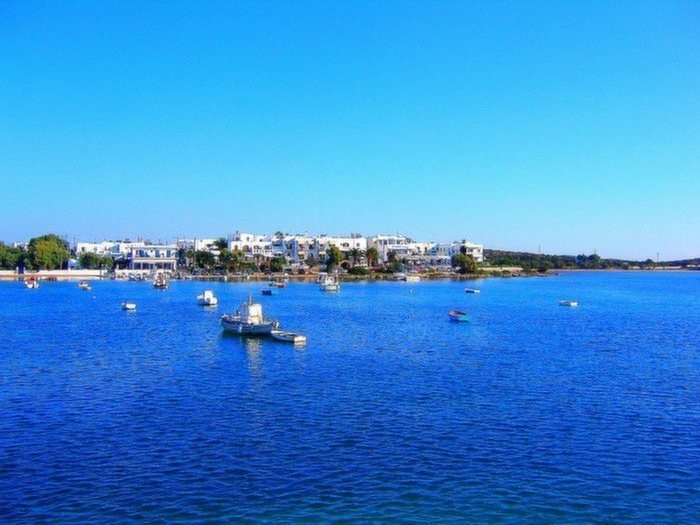 After the briefing concerning your trip, set sail around Paros for our first destination, Naxos. Depending on the weather conditions it’s going to take us 3-4 hours sailing trip. 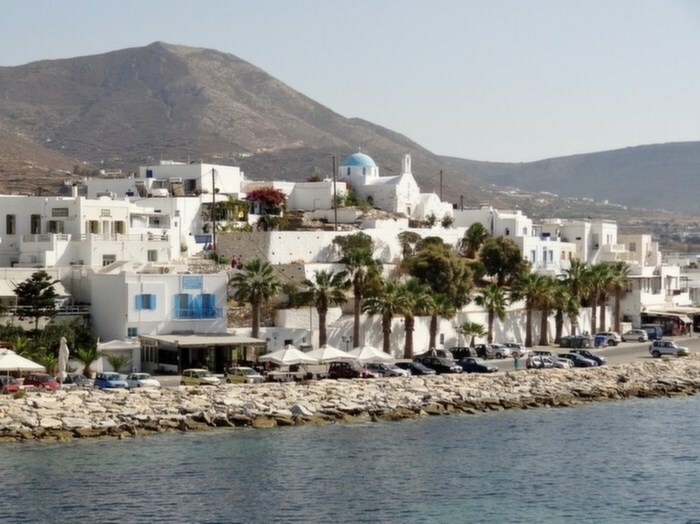 Naxos is one of the biggest islands of the Cyclades with great interest and many sightseeing. Don’t miss the sunset at the ancient temple of Apollo, just a few meters away from the marina. Grilled octopus with “ouzo” is a “must” here. Day 2: Today we are going to sail south following the west coast of Naxos ending up at the most south of the island, at Kalando bay. In the midway, your sailboat will stop at a nice anchorage, Roga, for swimming and lunch. Kalando is a special place. There is a safe port for the yacht but not a village. It’s an isolated area with a long sandy beach and many kilometers of trails by the seaside, ideal for hiking in the pure nature. For dinner, a primitive kiosk operated by a local shepherd offers BBQ only with local products. Don’t expect luxuries here. For sure it’s going to be your favorite place at the end. Day 3: Set sail from Kalando heading for Koufonisi. A shortstop before our final destination, at a wonderful spot, called Rina, where you can swim inside a sea cave. Amazing colors everywhere. 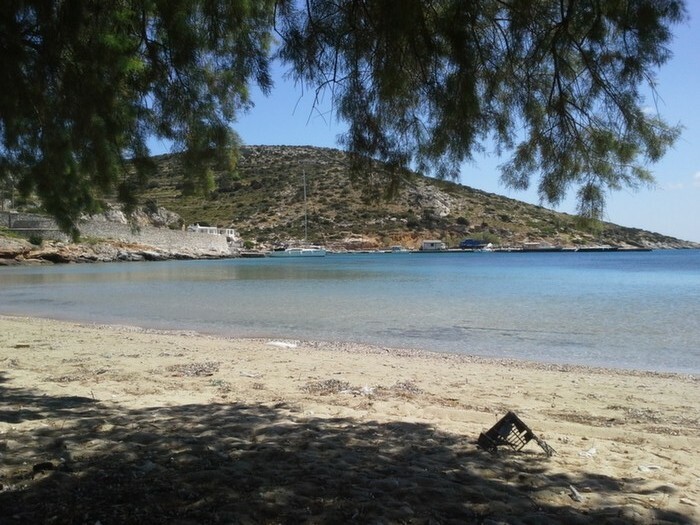 Koufonisi is further the most beautiful of the small Cyclades islands with many sandy beaches all around. Rent a bicycle and visit all of them. Dinner at “Captain Nicolas” place is out of any kind of negotiation as well as a frozen mojito at the windmill bar just above the marina. 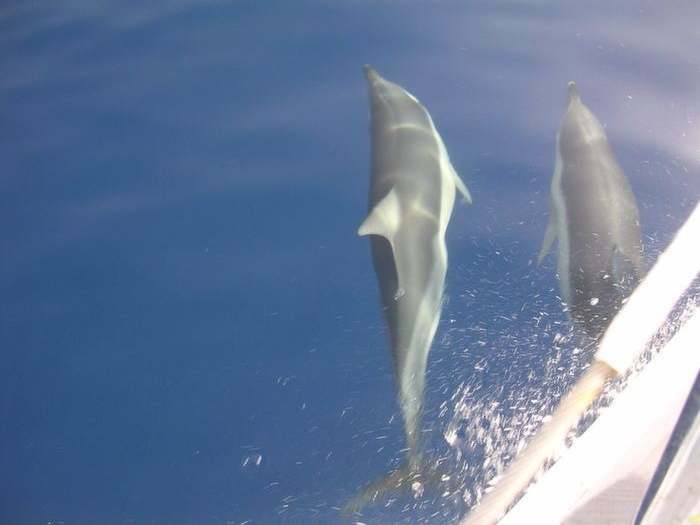 Day 4: If we have strong wind today we recommend to stay in the area visiting with the sailing yacht the nearby island of Kato Koufonisi and swim in crystal clear waters, snorkeling or go hiking around. The area is very protected from big waves because the huge island of Naxos to the north blocks the wind in order to make our life on board more comfortable. In the afternoon we will return to the same marina at Pano Koufonisi. An alternative in case the weather permits us, we will continue our sailing trip to Amorgos, the island of the “Big blue” movie. Rent a car or a bike here to explore the wild beauty of this heaven. Visit the famous monastery with the breathtaking view from its balcony and try “rakomelo”, the local alcoholic drink. Dinner at “Xilokeratidi” is going to be a memorable romantic event by the seaside. Day 5: Schinoussa is an island enjoyable by the visitor in every way. You can enjoy the beautiful sea by swimming on one of its 18 beautiful beaches in the crystal clear waters. Hike, have an unforgettable evening at one of the cultural events, taste the delicious local food, taste fresh fish and have fun at the island’s festivals. Day 6: Iraklia is another island of the “Small Cyclades” which is worth to be visited especially for those who want to experience tiny, quiet, cute and isolated places, representative of the Greek spirit. So after a short stop for swimming at Antikeros on our way from Amorgos to Iraklia, we will end up at the picturesque port of the island. Here you can swim to the nearby beach, diving from the yacht and hiking around enjoying the pure nature. Dinner at Iraklia means fresh fishes and the local tavernas more hospitable than anywhere else are ready to fulfill your expectations. Day 7: Ios is the party island for all the young Europeans but don’t be afraid if you don’t belong to this category. The parties are taking place in the town of Ios 2 km away from the place we are going. The area offers some nice restaurants, a wonderful beach to swim and rentals in case you prefer to explore the beauty of the island. Day 8: Thirasia is one of the five islands created from the explosion of the Strongili volcano in 1.600 BC. It is a rough island ideal for travelers who love discoveries and simple joys in life. As the size of the island is small, the most suitable way of transport is on foot. Also, make sure you bring cash with you as there is only on cash machine on the island. Hiking in an active volcano is undoubtedly an experience of a lifetime! On Theresia’s eastern side, one will be able to see white lava volumes among the wild sceneries. One of Santorini’s most impressive volcanic veins is located on Theresia’s southern end. In fact, it is a vertical lava intrusion flowing into the earlier veins. The area is even more impressive due to the erosion of the surrounding materials and it stands out as a small wall. While Santorini is legendary for the sunsets, Thirassia is renowned for its beautiful sunrise! 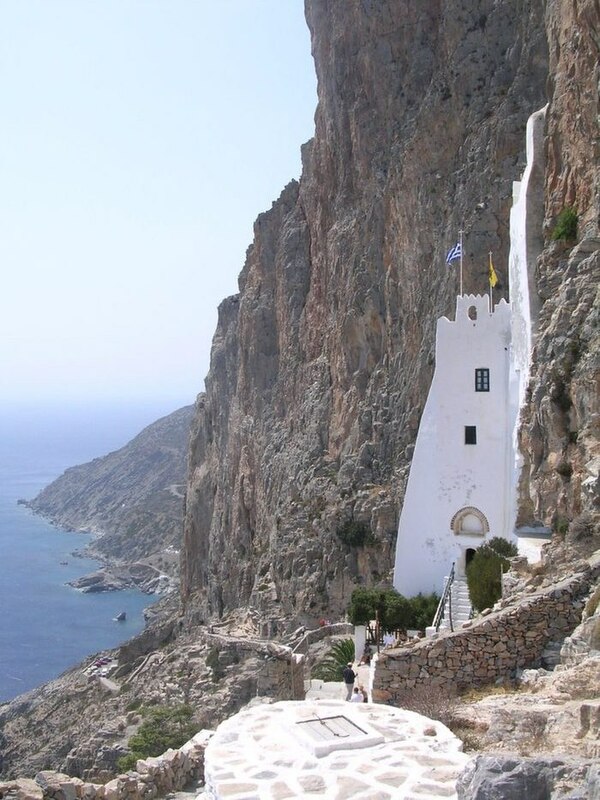 Visit the monastery of Panagia on the southernmost side of the island to catch the rising sun! Day 9: Folegandros. Looking for a quiet Greek Island where you can get away from package tours and holiday-makers? Folegandros may be just the place but you better hurry. The cat is out of the bag. Walk through Hóra’s narrow streets and admire the traditional Cycladic architecture. 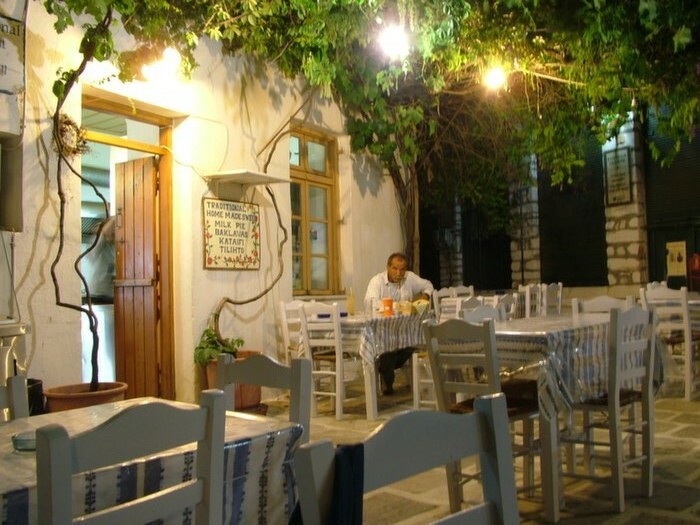 Wait until the sunset reaches the eternal blue of the Aegean and join the locals on the squares of the village. Taste the local delicacies, such as “matsáta” (handmade noodles with rooster or rabbit), sourotó (white goat cheese), and drink “rakómelo” (raki with honey) the famous spirit of the island. Day 10: Kimolos means chalk and you will enjoy a special white view of all the chalk mines all around and also a special formation of the rocks, like “the elephant”. At the port, you can find charming taverns but we strongly recommend to walk up to the village 2km away which is really beautiful. Try local dishes and ask for “ladenia” something like pizza but cooked in their own way. Day 11: Milos. We are going to stop for swimming in a lovely place called Ellinika with underwater antiquities. 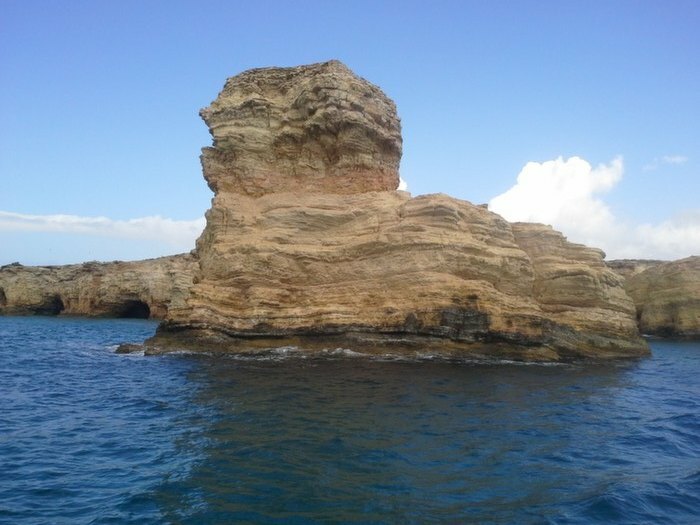 In this area, they have found the famous statue of Afrodite of Milos in the sea. 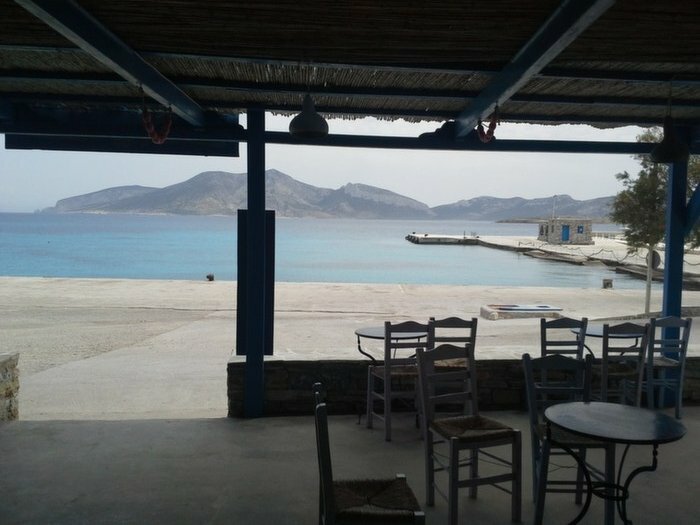 At Adamas the main port of Milos you can find anything you are looking for, taverns restaurants bars supermarkets and so on. We recommend you to rent a car bike or take the bus and visit a wonderful spot called Sarakiniko. A unique place with white rocks that can have amazing shapes often compared to a moonscape. Finish your day at the capital of Milos Plaka enjoying a wonderful sunset drinking a mojito. Day 12: Polyaigos – Sifnos. Today we are going to stay on the anchor for the night. Polyaigos is an uninhabited island full of goats. Here you can experience all the variations of blue and green in the sea, peaceful night and white rocks in amazing formations. Be prepared with food on board because there is no tavern. As an alternative, we may visit Sifnos. 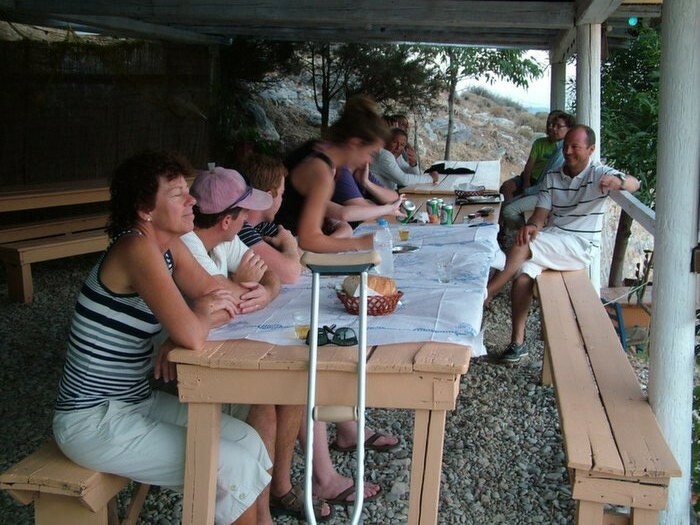 Platis Gialos has a wonderful long sandy beach nearby with nice taverns and charming coffee shops on the seafront. You can visit the local pottery shops and see live how they make the pots, dishes, and other articles made of earthenware or baked clay. Also, you can rent a car-bike or take the bus and visit the capital of the island, Apollonia. Try the local goat meat from the nearby island Kitriani cooked in clay pots. Day 13: Antiparos is the last island of our cruise. 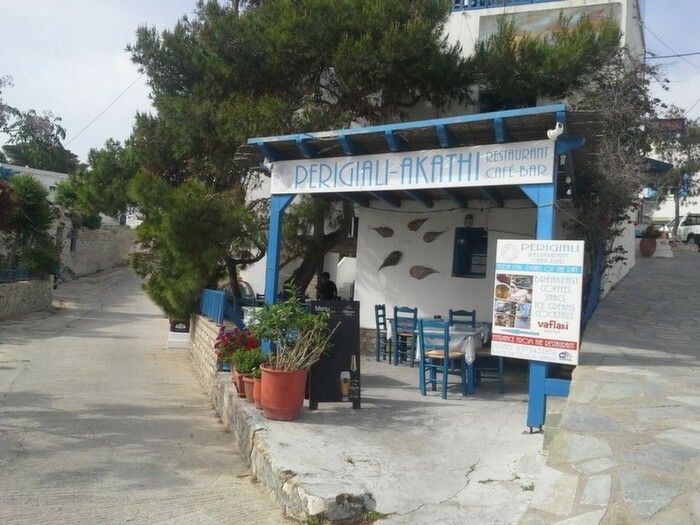 After a 4-5 hours sailing trip and of course after the oblate stop for lunch and swimming, we will end up at Antiparos late in the afternoon. Wandering around the small streets of the beautiful village, have dinner in one of the hundreds of restaurants and continue with a drink at one of the locals’ bars. Nightlife here, especially in high season is a must for everyone. 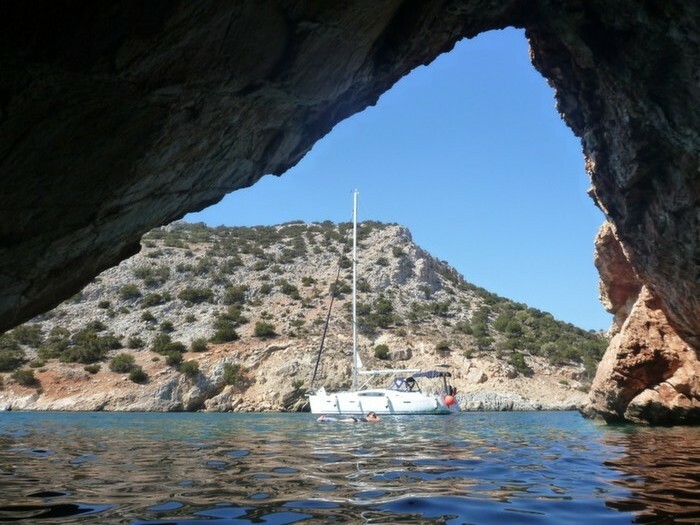 Day 14: We strongly recommend you before setting sail for our final destination, to visit the cave of Antiparos. Buses are operating just 100 meters away from the yacht. On your return on board, we will leave immediately for a nice anchorage on a small island north of Antiparos with crystal clear water. The afternoon has already come as well as the farewell time at Paros port. Make your introductory reservation request to Greek Water Yachts for a 2-week boat trip through the Greek Islands by filling out the contact – booking form. We will respond within 24-48 hours.